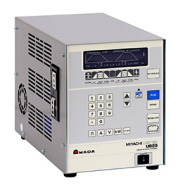 Directory Amada Miyachi America, Inc.
Based in Southern California, Amada Miyachi America, Inc. is a leading manufacturer of equipment and systems for resistance welding, laser welding, laser marking, laser cutting, laser micromachining, and hot bar bonding. The company provides products to a wide range of markets, including the medical device, battery, electric vehicle, and solar industries, as well as the global electronics, automotive, and general industrial markets. Since 1948, Amada Miyachi America has worked to achieve one goal: to solve our customer’s manufacturing challenges. Knowing there is no one solution that fits all, we strive to provide our customers with innovative and reliable manufacturing technology solutions so that we may be their single source provider. 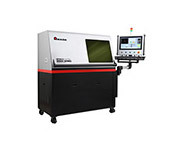 Laser Welding, Marking, Cutting and Micromachining: a broad range of fiber and pulsed Nd:YAG lasers for welding, marking, cutting and micromachining with up to 7kW peak power and multiple output beams for OEM's or as turnkey systems with multi-axis CNC motion hardware. 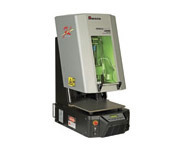 The company also designs, builds and supports both standard and custom workstation systems with CDRH Class I enclosures, multi-axis motion control, vibration isolation, inert gas glovebox systems, CCTV vision for inspection and vision-assisted motion, laser control software, and a wide range of standard laser welding beam delivery components and accessories. 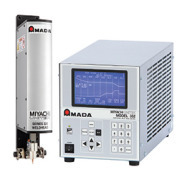 Resistance Welding: resistance welding and process monitoring equipment and systems for manufacturing everything from microelectronics to sheet metal welding. Typical applications include parts for automotive electronics, sensors, medical devices, batteries and battery packs, solar cells, aircraft parts and electronic components. 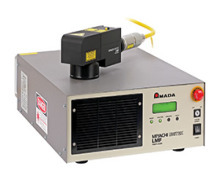 Reflow Soldering: power supplies, heads, and thermodes for hot-bar reflow soldering. 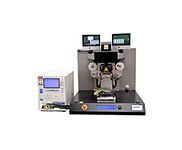 Applications include LCD attachment such as that used in manufacturing displays for cell phones, laptop computers, and automotive applications. 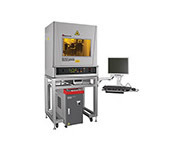 Hermetic seam welding and projection welding: equipment and systems for the hermetic sealing of semiconductor and small electronic devices. The company designs, manufactures, sells, and supports a broad range of welding and marking systems and atmospheric enclosures (gloveboxes, dryboxes) for customers in the telecommunications, aerospace, optoelectronic, medical, automotive and defense industries. 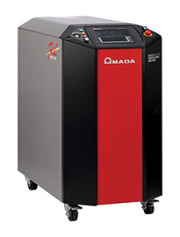 For more information contact Amada Miyachi America, Inc.
Amada Miyachi's Delta Series laser welding systems are flexible, low cost, lean-manufacturing-ready Class I environments for precision laser spot and laser seam welding of medical, automotive, electronic, and aerospace components as well as a broad range of other industrial applications. CONTACT AMADA MIYACHI AMERICA, INC.